Jan McHarry is Co-Director of Community Environment Associates. She is an independent consultant focusing on broad issues encompassed within sustainable development, local sustainability and neighbourhood liveability. Jan has a diverse breadth of experience and contacts within this field and currently concentrates on research and information provision. She is an experienced researcher with skills ranging from feasibility studies, project development, evaluation, monitoring and case studies, through to information gathering and signposting, community engagement and communications work. Jan currently offers research support to short-term or one-off community projects as well as involvement in longer-term assignments. She has particular expertise and personal involvement in projects linked to faith-based social action, including environmental initiatives. She is a Western Buddhist with active participation in the links between Buddhist practice, social justice and environmental issues. 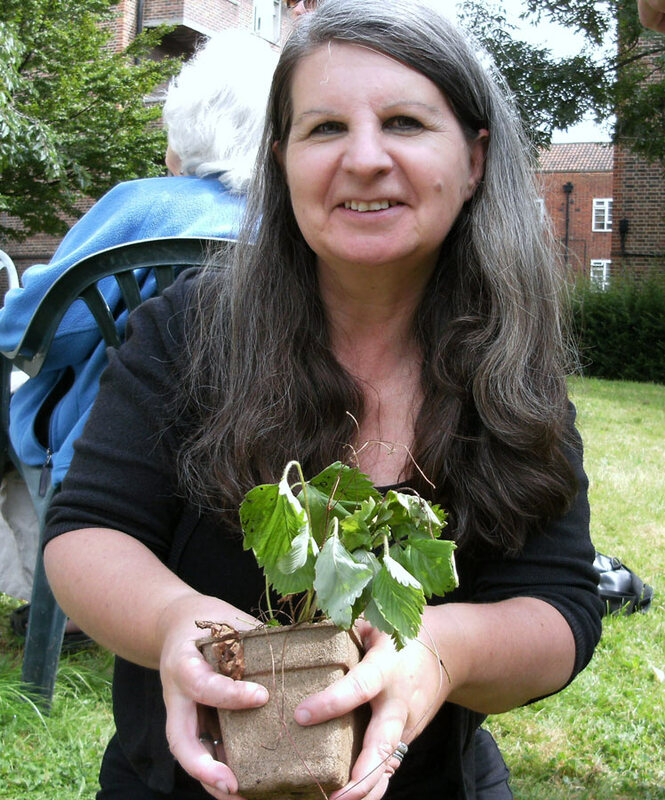 A key area of Jan’s work and personal experience is a focus on faiths and the environment. See the Projects page. Jan has a BA (Hons) in English, Geography and Environmental Studies (Oxford Polytechnic 1979) and an MSc in Rural and Regional Resources Planning (Aberdeen University 1982). She is the Buddhist Trustee of the Faith Based Regeneration Network (the leading national network for community development, community regeneration and social action). Jan sits on the Steering Group of London Borough Tower Hamlets Interfaith Forum and the Faiths and Environment Network of the Chartered Institute of Water and Environmental Management. She is a contributor, co-author and author to a number of commercially available publications, as well as reports for non-governmental organisations. A list can be downloaded here. Prior to self-employment, Jan worked for Friends of the Earth UK as Information Officer (1985-1990). She lived in the London Borough of Hackney from 1988 -2012, moving to Oxford in Spring 2012. A full CV can be downloaded here. Project grant assessor for Department of Energy and Climate Change (DECC) Local Energy Assessment Fund (LEAF) Spring 2012.